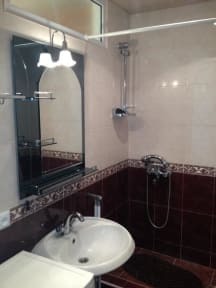 Center Hostel and Tours i Yerevan, Armenia: Bestill nå! If you would like to visit Armenia and to see its capital Yerevan, and you are interested in a good deal for your accommodation-Center Hostel is what you are looking for! CENTER Hostel offers you the best solution for a reasonable price and convenient location. Completely new Center Hostel offers you great bed rates in the heart of Yerevan city,fresh compartments and friendly staff service.Your stay with us should be enjoyable and comfortable! Cosy and tidy Center Hostel was newly renovated in summer 2011 and is located just 3 minutes walking distance from the famous Republic Square.Also from the hostel,you may easily get to the main places of attraction-National Gallery,Northern Avenue,Opera House and Cascade-it takes only 10 minutes on foot! Center Hostel offers different type of accommodation.All of our rooms have been newly renovated,are neutrally decorated in a friendly style and equipped with central heating.Four-bed and six-bed bedrooms are available,close to the rooms guests may find shared facilities equipped with new shower booths and bathroom fixtures.Free lockers and luggage storage are also included in the price. 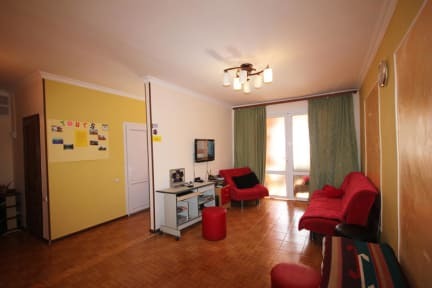 In addition,we may offer you accommodation in a double/twin room! At you desire, you may be offered Wi-Fi interenet access,luggage storage,laundry and ironing services too.